Senior Police Officer Adam Cabe has served with Asheville PD since 2012. SPO Cabe was assigned to the Traffic Safety Unit in 2015. 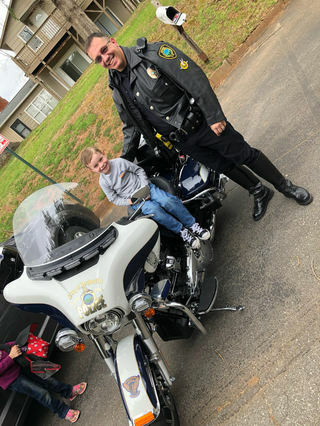 SPO Cabe was certified as a Motor Officer by the Northwestern University Center for Public Safety in 2017. SPO Cabe is a Traffic Crash Reconstructionist and has been awarded the Traffic Enforcement and Investigation Certificate from the NC Justice Academy.